Your wheel rotors are attached to the outside of the wheel and allow the calipers to press brake pads against their surface to stop the vehicle. The intense stopping force from your brake system is delivered to the rotors to create intense friction and heat. Continuous application of friction and heat to the rotors can cause them to warp, bend, or crack. Old, worn out brake pads can also leave scratches and impact grooves on the rotors to ruin their flat surface. If the flat rotor surface becomes compromised, your vehicle will lose stopping power and will be a safety concern if left unattended. Nissan engineers design rotors with safety specifications that are important to follow. As rotors get more miles and age, the rotor integrity can fall outside of the Nissan safety specification and cause damages to other brake system components or you might lose stopping power altogether. Bad Rotors: Turning or Replacement? Worn out rotors that show signs of wear & tear need to be resurfaced or replaced entirely depending upon their condition. Depending on their condition, it might be impossible to resurface the rotors to get them back to factory specifications. If resurfacing won’t work, then a factory trained Nissan certified technician will need to perform a rotor replacement service. 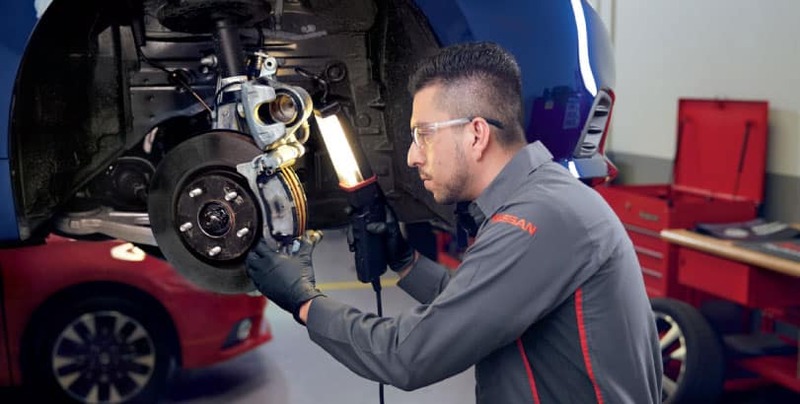 If you have signs of a brake problem or if you know that your rotors need to be inspected, contact United Nissan of Las Vegas today to schedule your next Nissan Brake Service. A factory trained Nissan certified technician will inspect your brake system including the rotors and turn or replace them as needed. Don’t risk safety by skimping out on much-needed service. 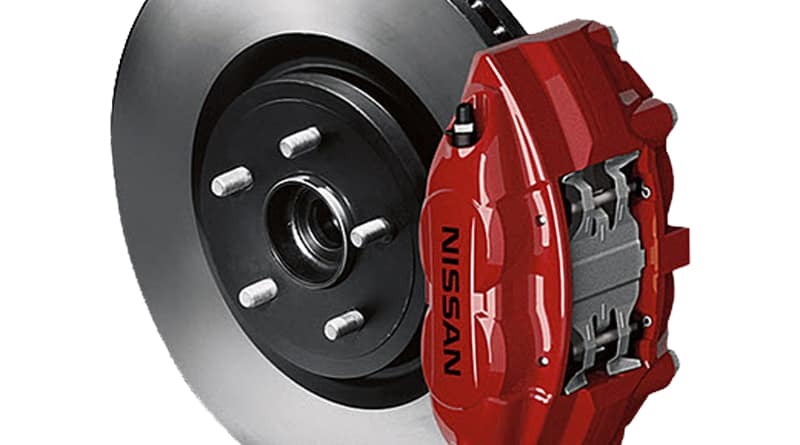 Schedule an appointment today and get your Nissan brake system and rotors back to factory specifications. For those do-it-yourself types, you can simply order a new battery for your exact Nissan’s make and model on our website. Search for the right part for your on our online eStore. Trust United Nissan with all your Nissan battery replacement needs. We are conveniently located at 3025 E Sahara Ave, Las Vegas, NV 89104. That’s just off of Boulder Hwy.